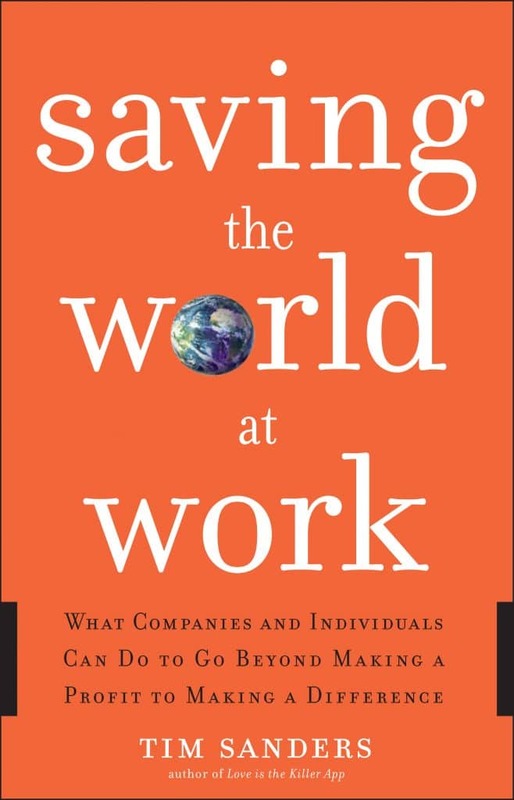 Saving the World at Work as selected by Executive Soundview as one of the top 30 business books of 2008. Its message sounds a clarion call for business leaders: Companies must to go beyond making a profit and start making a difference by reshaping their corporate culture to focus on sustainability, ethics and community development. Every one of us, regardless of title or position, can inspire our companies and their leadership to change the way they do business, helping them to become a positive force for enriching people, communities, and the environment. When this happens, not only do we help save the world, we help save our companies from becoming irrelevant. We also become part of what Sanders calls the Responsibility Revolution. Companies that don’t participate in this revolution risk becoming obsolete. Today customers, employees, and investors are demanding that companies focus on their social responsibilities — not just their bottom lines. Sixty-five percent of American consumers say they would change to brands associated with a good cause if price and quality were equal; 66 percent of recent college graduates will not work for companies with poor social values. And more than sixty million people are willing to pay a premium for socially and environmentally responsible products. In Saving the World at Work, Tim Sanders offers concrete suggestions on how all of us can help our companies join the Responsibility Revolution. Drawing on extensive interviews with hundreds of employees and CEOs and illuminated by countless stories of people who are making a difference in the workplace and in the world, Sanders offers practical advice every individual and company can use to make the world a better place–now and in the future.